Hi friends, Today I am sharing a project that is over on the Sizzix blog - Half Hexagon Coaster Sets. 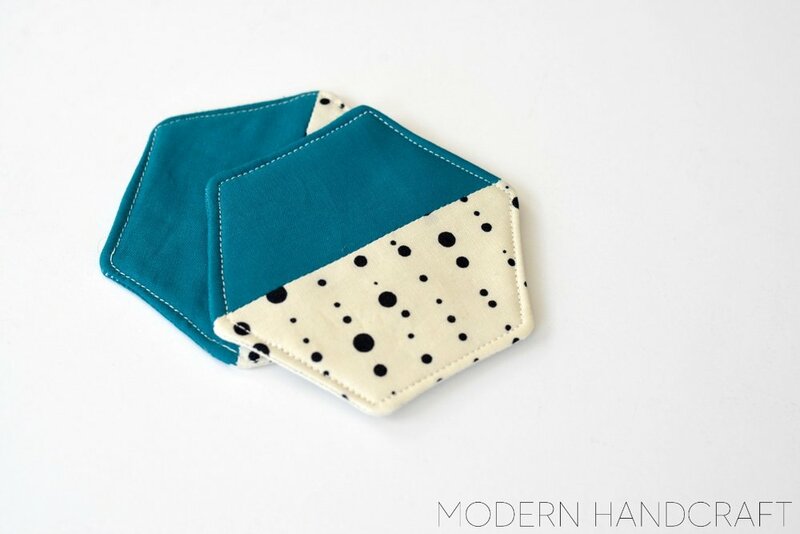 Any chance I can add a hexagon into a project I am all for it! Not only is this die perfect for this quick project - you can also create some stunning pillows and quilts using the same die. You can make them a solid color or combine fun prints to personalize them - the coasters above were for my husband on father's day. These are so simple to create they are a perfect beginners project and are a fun addition to a sewing swap gift or even around the holidays as a little add on item for a hostess gift. Thanks for stopping by today friends and I hope you enjoy my project for the Sizzix blog this month! In the spirit of full disclosure, this is an affiliate link, which means that I may get a commissions if you decide to purchase anything from this company. I only recommend products & systems that I use and love myself, so I know you’ll be in good hands.